ISLAMABAD (June 12, 2012) – Finance ministry of the Government of Pakistan yesterday published the Annual Economic Survey of Pakistan for the year 2012-13, salient features and highlights of which have been compiled and presented here. Pakistan’s economy continued to face challenges like energy shortages, floods and rains, poor law and order situation, and a host of other structural impediments that have held back investment and growth in the country. 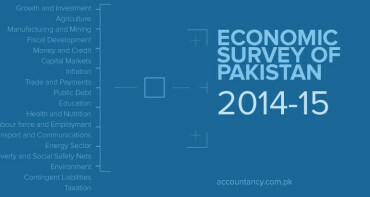 The economy of Pakistan during the last five years grew on average at the rate of 2.9 percent per annum. Deterioration in the power sector is the main constraint on growth. Power outages have shaved off annual GDP growth 2 percent. GDP growth has been stuck at a level, which is half of the level of Pakistan’s long-term trend potential of about 6.5 percent per annum. On account of continuous process of development and innovations Pakistan has now completed its rebasing for the year 2005-06 (“base year”). The new base year will replace the existing one of 1999-2000. As a result of re-basing, GDP estimates for 2005-06 have improved from Rs.7159 billion to Rs.7716 billion, showing an increase of 7.8 % over the old base estimates. Estimates of the agriculture sector improved by 21.8 %, the industrial sector changed by -16.0 % and the services sector by 14.5 % over the old base. Pakistan’s National Accounts are calculated on annual basis. After finalizing the rebasing 2005-06, the annual time-series will be quarterized and quarterly accounts will be launched. Real GDP growth for 2012-13 has been estimated at 3.6 percent as compared to 4.4 percent in the previous fiscal year 2012 after rebasing the National Accounts at constant prices of 2005-06. Commodity Producing Sector comprises of agriculture and industry accounts for 42.3 percent of GDP during the outgoing fiscal year. The commodity producing sector has performed better in outgoing fiscal year as compared to last year; its growth rate is 3.4 percent against 3.1 percent last year. Agriculture Sector accounts 21.4 percent of GDP. The performance of the agriculture sector remained weak due to unfavorable weather conditions, which resulted in lower production of cotton and rice. A growth of 3.3 percent is recorded against the growth of 3.5 percent last year. Agriculture sector consists of sub-sectors which include crops, livestock, fisheries, and forestry. The crop sub-sector is further divided into important crops, other crops and cotton and ginning. The important crops account for 25.24 percent of agricultural value added and registered a growth of 2.3 percent compared to a growth of 7.4 percent last year. The important crops including wheat, maize, rice, sugarcane and cotton witnessed growth in production of 3.23 percent, 6.74 percent,-10.05 percent, 6.98 percent and -4.19 percent respectively. Other crops contributed 12.34 percent to value addition in overall agriculture. Growth in the production of this sub-sector is recorded at 6.7 percent against the negative growth of -7.7 percent last year. Cotton Ginning has a 2.91 percent share in overall agriculture sector. Cotton Ginning has recorded a growth of -2.9 percent as compared to 13.8 percent growth in last year due to less production of cotton as compared to last year. Previously it was a component of manufacturing sector, now in rebasing of national accounts 2005-06, it is included in the agriculture sector. Livestock share in agriculture is 55.4 percent. It has witnessed a marginally lower growth of 3.7 percent against the growth of 3.9 percent last year. Fisheries sector witnessed a growth of 0.7 percent against the growth of 3.8 percent last year. Forestry recorded growth at 0.13 percent as compared to the growth of 1.74 percent last year. Industrial sector contains 20.9 percent of GDP having sub sectors: manufacturing, construction, mining & quarrying and electricity and gas distribution. Manufacturing Sector has 13.2 percent share in GDP. The growth of the manufacturing sector is estimated at 3.5 percent compared to the growth of 2.1 percent last year. It has three main sub- components; namely the Large-Scale Manufacturing (LSM), Small Scale Manufacturing and Slaughtering. Small scale manufacturing growth rate is estimated at 8.2 percent as compared to 8.4 percent and slaughtering growth is estimated at 3.5 percent against 3.6 percent last year. Large Scale Manufacturing has also witnessed an improvement. It has shown a growth of 2.8 percent up to July-February 2012-13 against the 1.2 percent growth of same period last year. But the growth is now 4.26 percent in July-March 2012-13 as against 1.49 percent last year. Construction Sector has shown 5.2 percent growth as compared to growth of 3.2 percent in last year. Mining and Quarrying sector recorded positive growth of 7.6 percent during the year 2012-13 against the growth of 4.6 percent last year. Electricity and gas distribution witnessed a growth of -3.2 percent against the growth of 2.7 percent last year. Services Sector has 57.7 percent share in GDP and has emerged as the main driver of economic growth. The services sector consists of the following sub-sectors: Transport, Storage and Communication; Wholesale and Retail Trade; Finance and Insurance; Housing Services (Ownership of Dwellings); General Government Services (Public Administration and Defence); and other Private services (Social Services). The Services sector has registered a growth rate of 3.7 percent in 2012-13 against the growth of 5.3 percent in the last year. This performance is mainly contributed by Finance and Insurance at 6.6 percent, General Government Services at 5.6 percent, Housing Services at 4.0 percent, Other Private Services at 4.0 percent, Transport, Storage and Communication at 3.4 percent and Wholesale and Retail Trade at 2.5 percent. Pakistani society like other developing countries is a consumption oriented society, having a high marginal propensity to consume. Private consumption expenditure has decreased to 76.98 percent of GDP from 78.53 percent last year; whereas public consumption expenditures have increased to 10.68 percent of GDP against 10.33 percent last year. The per capita income in Rupee term has increased from Rs 118085/- to Rs131543/- in outgoing fiscal year as compared to last year. In dollar terms it increased from $ 1323 to $ 1368 in 2012-13 as compared to last year. Per Capita Income in dollar terms grew at a rate of 3.4 percent in 2012-13 as compared to 3.8 percent growth last year. Total investment has declined from 18.79 percent of GDP in 2006-07 to 14.22 percent of GDP in 2012-13. Fixed investment has decreased to 12.6 percent of GDP in 2012-13 from 17.61 percent of GDP in 2007-08. Private investment witnessed a contraction of 8.7 percent of GDP in 2012-13 as compared to 12.8 percent of GDP in 2007-08. Public investment as a percent of GDP decreased to 3.9 percent in 20012-13 against the 4.8 percent in 2007-08. National savings are 13.5 percent of GDP in 2012-13 as compared to 12.8 percent in 2011-12. Foreign Direct Investment in Pakistan stood at $ 853.5 million during July-April 2012-13 as against $ 658.2 million last year, posting an increase of 29.7 percent. Workers’ Remittances has increased to $ 11,569.82million in July-April of 2012-13, as against $ 10,876.99 million in the comparable period of last year, posted a positive growth of 6.37 percent. The remittances from Saudi Arabia recorded growth of 12.84 percent and from UK it is 27.49 percent during the period. The agriculture growth this year stood at 3.3 percent as compared to 3.5 percent during the last year. The Livestock sector which has a 55.4 percent share in the agriculture grew by 3.7 percent in 2012-13. The Fishing sector having a share of 2.0 percent in agriculture grew by 0.7 percent as against last year’s positive growth of 3.8 percent. Forestry sector having a share of 2.0 percent in agriculture posted a nominal growth of 0.1 percent this year as compared to positive growth of 1.7 percent last year. The cotton ginning under new base 2005-06 has been included in agriculture value addition showed a negative growth of 2.9 percent in 2012-13 against the positive growth of 13.8 percent during the same period1 last year. Important crops accounted for 25.2 percent of agricultural value added and has experienced a growth of 2.3 percent in fiscal year 2012-13 against growth of 7.4 percent in 2011-12. During 2012-13 Cotton production remained at 13,026 thousand bales as compared to 13,595 thousand bales in 2011-12 registered a decline of 4.2 percent. Wheat production increased to 24,231 thousand tonnes in 2012-13 as compared to 23,473 thousand tonnes in 2011-12 showing an increase of 3.2 percent. Rice production has decreased to 5,541 thousand tonnes in 2012-13 as compared to 6,610 thousand tonnes in 2011-12 showing a decrease of 10.0 percent. Sugarcane production has increased to 62.5 million tonnes in 2012-13 as compared to 58.4 million tonnes last year, registered an increase of 7.0 percent. Maize production has increased to 4,631 thousand tonnes in 2012-13 as compared to 4,338 thousand tonnes in 2011-12, showing an increase of 6.8 percent. Other crops that contributed 12.3 percent value addition in agriculture witnessed a positive growth of 6.7 percent in 2012-13 against negative growth of 7.7 percent during the same period last year. Gram production has increased to 673 thousand tonnes in 2012-13 as compared to 284 thousand tonnes in 2011-12, showing an increase of 137.0 percent. In 2012-13 other crops, the production of Chillies, Potatoes and Bajra increased by 218.4 percent, 11.0 percent and 2.0 percent respectively. While the production of Masoor (Lentil) Jawar, Onions, Rapeseed & Mustard, Barley, Mung, Mash and Tobacco, showed decline in production of 11.8 percent, 10.9 percent, 9.2 percent, 6.7 percent, 6.1 percent, 4.0 percent, 2.8 percent and 1.0 percent, respectively, in 2012-13 as compared to the same period last year. During July-March, 2012-13 about 319.2 thousand tonnes of improved seeds of various Kharif/Rabi crops were procured. Agriculture credit disbursement of Rs. 231.0 billion during July-March 2012-13 is increased by 17.0 percent, as compared to Rs. 197.4 billion over the same period last year. Out of which Rs.123.7 billion is disbursed by Commercial Banks, Rs. 38.0 billion by Zarai Taraqiati Bank Limited (ZTBL), Rs. 51.0 billion by Domestic Private Banks, Rs. 13.0 billion by Microfinance Banks (MFBs) and Rs. 5.4 billion by Punjab Provincial Cooperative Bank Limited (PPCBL). During 2012-13, the availability of water as an essential input for Kharif 2012 was 14 percent less than the normal supplies which is to compare with Kharif 2011, it was 4.4 percent less. The water availability during Rabi season 2012-13 was estimated 31.9 MAF, which was 12.4 percent less than the normal availability, but 8.5 percent higher than last year’s Rabi crop. Kharif 2012 started with inventory of 800 thousand tonnes of urea. Total availability of urea (including 511 thousand tonnes of imported supplies, 2068 thousand tonnes of domestic production) was about 3379 thousand tonnes against the offtake of 2689 thousand tonnes, leaving inventory of 684 thousand tonnes for Rabi 2012-13. Availability of DAP was 773 thousand tonnes comprising 177 thousand tonnes of inventory, 243 thousand tonnes of imported supplies and 353 thousand tonnes of local production. DAP offtake was 544 thousand tonnes leaving an inventory of 227 thousand tonnes. The left over of this season was to meet the requirements of the Rabi 2012- 13. Rabi 2012-13 started with inventory of 684 thousand tonnes of urea. Total availability of urea (including 288 thousand tonnes of imported supplies, 2114 thousand tonnes of domestic production) was about 3086 thousand tonnes against the offtake of 2855 thousand tonnes, leaving inventory of 220 thousand tonnes of Kharif 2013. Availability of DAP was 903 thousand tonnes comprising of 227 thousand tonnes of inventory, 327 thousand tonnes of imported supplies and 349 thousand tonnes of local production. DAP offtake was 700 thousand tonnes leaving an inventory of 197 thousand tonnes. The left over of this season will be transferred to next season that will help meet the requirements of the coming Kharif 2013. During the first nine month of the current fiscal year 2012-13, Large Scale Manufacturing (LSM) posted a growth of 4.26 percent as compared to growth of 1.49 percent during the same period last year. Increase in growth of LSM includes Paper & Board (21.97 percent), Rubber Products (17.61 percent), Coke & Petroleum Products (13.31 percent), Iron and Steel Products (13.24 percent), Food Beverages & Tobacco (7.30 percent), Non metallic mineral Products (5.86 percent) and Textile (0.92 percent). Most energy intensive sectors recorded negative growths including engineering products (15.60), wood products (18.98 percent), automobiles (11.84 percent), electronics (6.43 percent), fertilizers (5.03 percent), leather products (2.33 percent) and chemicals (1.08 percent). The power outages have obstructed the viability of the textile industry as exporters were unable to meet their commitments. During July-March 2012-13, foreign exchange earning through exports of synthetic textile fabrics and woolen industry showing a decline of 25.3 percent and 5.1 percent respectively as compared to last year. During the period under review even in quantity term also recorded a decline of 30.0 percent and 15.8 percent respectively. During July-March 2012-13, in automotive industry only jeeps and tractors managed a significant growth at 67.1 percent and 34.5 percent respectively as compared to same period last year. The other sub items of automobile sector such as buses, cars and LCVs registered a negative growth of 8.8 percent, 23.2 percent and 30.2 percent respectively. The growth in cars suffered on account of amnesty scheme as well second hand imported cars. The growth prospect of this sector is not likely to ease out till the appetite of vehicles is saturated. The Mining and Quarrying sector estimated to grow at 7.6 percent in 2012-13 as against 4.6 percent last year. Barytes, Dolomite, Calcite, Marble, Soap Stone, Bauxite, Crude Oil and Magnesite posted a positive growth rate of 435.9 percent, 126.3 percent, 117.7 percent, 83.9 percent, 63.6 percent, 62.0 percent, 15.8 percent and 9.3 percent, respectively. However some witnessed negative growth during the period under review such as major declined has been recorded in Sulphur by 28.9 percent followed by Phosphate 16.1 percent, Cooper 12.1 percent, Chromites 10.1 percent, Coal 3.1 percent and Natural Gas 2.1 percent respectively. The efforts to achieve fiscal sustainability were challenged during the past five years due to power crisis, unprecedented floods, low tax to GDP ratio, high interest payments, untargeted subsidies and resource drain through PSEs. Despite all these challenges, Fiscal deficit was successfully brought down from 7.3 percent in 2007-08 to 6.8 percent in 2011-12. During July-March, 2012-13 fiscal deficit stood at 4.6 percent against 6.4 percent of GDP. The sectors with zero rating facility have been brought under tax as 2 percent sales tax was imposed on local supplies of five leading export sectors (Sports, Surgical, Carpet, Textile and Leather. Standardized withholding tax regime at the import stage by imposing a uniform rate of 5 percent tax on the imports of commercial and industrial importers, mobile telephone sets, silver, all fibers, yarns, fabrics and goods covered by the five leading export sectors. Broadening of Sales tax Withholding regime. Withdrawal of concessionary rate of 5 percent on tea. Enhancement of rate from 2 to 5 percent on import of cooking oil/vegetable ghee. FBR tax collection for the fiscal year 2012-13 was targeted at Rs.2,381 billion which was 26.4 percent higher over the actual collection of Rs.1883.0 billion during 2011-12. During the first ten months of 2012-13, FBR tax collection stood at Rs.1,505.2 billion posting a weak growth of 5.5 percent due to energy/gas shortages, security issues, failure to implement tax reforms and decline in imports. During July-April, 2012-13, among the four federal taxes, the highest growth 14.9 percent has been witnessed in custom duty, followed by sales tax (5.4 percent) and direct tax (4.7 percent). The growth in sales tax was significantly affected due to the transfer of services to provinces. For July-April, 2012-13 direct taxes have been a major source of FBR tax revenue collection, contributing 36.8 percent of total receipts. Net collection was estimated at Rs. 553.7 billion. Indirect taxes grew by 6.1 percent during July-April, 2012-13 and accounted for 63.2 percent of the total FBR collection. Net collection was estimated at Rs.951.6 billion. Total expenditure of Rs 4,484.2 billion was estimated for the full year, comprising of Rs.3,452.2 billion of current expenditure (77 percent of total) and Rs. 1,032.0 billion of development expenditure and net lending (23 percent of total). During July-March, 2011-12 total expenditures amounted to Rs.3,188.1 billion against Rs. 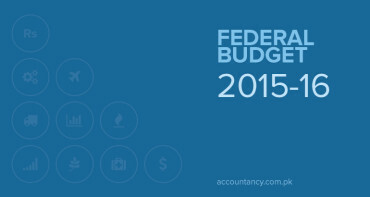 2,641.9 billion in the same period last year showing an increase of 20.7 percent. Current expenditures stood at Rs. 2,642.0 billion and development expenditures and net lending recorded at Rs. 445.8 billion during July-March, 2012-13. Total revenues reached to Rs. 2,141.9 billion during July-March, 2012-13 against Rs.1747.0 billion in the same period of last year posting a growth of 22.6 percent. Within revenues, tax revenues stood at Rs. 1,557.6 billion and non tax revenues remained at Rs.584.3 billion during the same period of fiscal year 2012-13. SBP has adopted relatively an expansionary policy stance for the past two years as the policy rate has been reduced by cumulative 400 basis point from 13.5 percent in August 2011 to 9.5 percent in December 2012. Keeping in view the major risks to medium term inflation outlook and risks to the balance of payment position in the remaining months of 2012-13, SBP has decided to keep the policy rate unchanged at 9.5 percent on 12th April, 2013. Broad Money (M2) witnessed an expansion of 9.9 percent during July-10th May, 2012-13 against the growth of 9.1 percent in the comparable period last year. Net Foreign Assets (NFA) reduced to Rs. 196.8 billion as compared to the net contraction of Rs.268.7 billion last year. NFA remained under great pressure due to decline in foreign exchange reserves on account of debt repayment to IMF since February 2012 and drying up of external financial inflows. Till 25th May, 2013 Pakistan has repaid $ 4.1 billion to IMF. Net Domestic Assets (NDA) during July-10th May, 2012-13 stood at Rs.950.0 billion against Rs.875.4 billion during the same period last year, reflecting an increase of 13.4 percent over the last year. The government borrowing from the banking system for budgetary support and commodity operations stood at Rs. 1042.1 billion during July-10th May, 2012-13 as compared to Rs. 1076.9 billion in the comparable period last year. The decline in borrowing for budgetary support during the period under review was primarily due to one-off settlement of Rs. 391 billion in the first half of fiscal year 2011-12 and containment of fiscal deficit at 4.6 percent of GDP during July-March, 2012-13. During July-10th May, 2012-13 loans for commodity operations registered a net retirement of Rs.84.2 billion as against the retirement of Rs. 84.6 billion during the same period last year. Credit to private sector increased to Rs. 92.9 billion during July-10th May2012-13 as compared to the expansion of Rs. 235.1 billion in the comparable period of last year. Weighted average lending rate (including zero mark-up) on outstanding loans stood at 10.5percent, while weighted average deposit rate (including zero mark-up) stood at 5.2 percent. The lending rates have declined since July, 2012 onwards owing to easy monetary policy stance. Pakistan equity market, the KSE was one of the best performing stock markets in 2012: the benchmark KSE-100 Index gained 49.3% and nearly touched the 17,000 points level by the close of the year. In dollar terms, it offered an impressive 37% returns, despite the devaluation of the rupee with respect to the dollar. Since Ist July-2012, the KSE 100 index increased by 6,766 points from 13,801.4 to 20,567.4 level(49 percent gain) till mid- May, 2013. This reflects the restoration of the confidence of the investors especially of foreign investors. During July-March FY13 foreign investors were the net buyer showing a net inflow of US $227.67 million as per National Clearing and Settlement of Pakistan (NCCPL). The robust performance of Pakistani stock markets during 2012-13 was due to certain encouraging measures like considerable reduction in discount rate by 250 bps by the State Bank of Pakistan, implementation of the Capital Gain Tax Ordinance, improved political environment leading to the outcome of the general elections and improvement in inward remittances by overseas Pakistanis. In post election scenario, KSE continued its bullish trend and witnessed sharp increase not only in terms of index but also in volumes. KSE 100 index which was at 19,916.3 before the general elections of 11th May, jumped to around 21,600 level as on 30th May, 2013 in just two and half weeks (13 sessions). Pakistan Stock Markets has outperformed during 2012-13(July-Mar) among Global Stock Markets including India, China, Hong Kong, Tokyo, USA and UK. Participation of foreign investment was the main reason behind the better performance of Karachi Stock Exchange (KSE). KSE-100 Index has witnessed an increase of 30.7 per cent from 13,801.41 to 18,043.31 during first nine months. Whereas, the US S&P 500 has registered an increase of 15.2 per cent while the UK FTSE 100 was up by 15.1 per cent during the period under review. The Index of Tokyo NIKKEI 225 , however, stood at 12,397.91 with an impressive increase of 37.7 per cent The Hong Kong market went upward by 14.7 per cent but China Shanghai Composite could not perform and increased only by 0.5 percent. It may be noted that as compared with the other indices, Pakistan Stock market performed well during current fiscal year. The stock exchanges in Pakistan were successfully corporatized and demutualized on August 27, 2012 consequent to promulgation of the Stock Exchanges (Corporatization, Demutualization and Integration) Act, 2012. The Act was approved in a joint session of the Parliament and subsequently promulgated after presidential consent on May 7, 2012. Demutualization of Stock Exchanges has brought the Pakistani stock exchanges at par with their global counterparts. While bringing enhanced governance and transparency at the stock exchanges, demutualization will also project a positive image of the Pakistani stock market on the international platform and will facilitate the exchanges in attracting global strategic investors of good stature and increase the depth of primary and secondary market. During the period July-March FY13 a total of six debt securities were issued through private placement including Sukuk Issue of Rs.47.018 billion by Pakistan Domestic Sukuk Company Limited. The Securities and Exchange Commission of Pakistan has prescribed the Debt Securities Trustee Regulations, 2012 (DST Regulations). The main objective of the DST Regulations is to protect the interests of debenture holders and under these regulations so far 15 Debt Securities Trustees were granted registration. For development of the debt capital market, the settlement of trading in debt securities listed at OTC (Over-The-Counter) segment of the stock exchanges has been made mandatory through the National Clearing and Settlement System (NCSS) of National Clearing Company of Pakistan Limited (NCCPL) against the earlier practice of settlement of these trades on counterparty basis outside the NCSS. This initiative will facilitate auto settlement of these trades. CPI inflation year on year (Y-o-Y) basis is at 5.8 percent in April 2013, WPI 6.8 percent and SPI 6.6 percent as compared to 11.3 percent, 3.8 percent and 7.5 percent respectively in the same period of last year. The core inflation measure by non-food non-energy stood at 8.7 percent in April 2013 against 10.9 percent in the same month of last year. CPI food items with decrease in their prices are tomatoes, chicken, potatoes, pulses and sugar.While non-food items whose prices decreased are gas and fuel related components. The wholesale prices of food and non-food items whose prices decreased from previous year are poultry, sugar, pulses, fuel, fertilizer and cotton related items. SPI related items with decrease in their prices include sugar, edible oil, pulses, petrol, diesel, LPG and gas prices. The inflation rate as measured by the changes in Consumer Price Index (CPI) stood at 7.8 percent during (July-April) during current fiscal year 2012-13, against 10.8 percent in the comparable period of last year. The food inflation on average basis is estimated at 6.6 percent and non-food 8.5 percent, against 11.1 percent and 10.7 percent in the corresponding period of last year. The downward trend in inflation during the current year was largely due to better supply position of food and nonfood items resulting in an easing of domestic prices as well as global commodity prices. The higher increase in non-food inflation largely stemmed from increase in the sub indices of house rent, electricity tariff rates, education expenses, communication cost, fuel prices and foot ware prices. Core inflation on period average basis during (July-April) 2012-13 stood at 9.9 percent against 10.4 percent last year. The Wholesale Price Index (WPI) during July-April, 2012-13 on annual average basis has recorded at 7.9 percent against 11.2 percent of last year. The Sensitive Price Indicator (SPI) recorded at 7.9 percent during July-April, 2012-13 against 6.7 percent of last year. Inflation has been contained during current fiscal year as compared to last year due to better supply position of major and minor crops, decreasing trend in prices of essential items in international market and regular monitoring of prices and supply chain by the National Price Monitoring Committee. Exports during the first ten months (July-April) of the current fiscal year reached to US$ 20,147 million rising from US$ 19,329 million in the same period last year thereby witnessing a growth of 4.2 percent. Imports during the first ten months (July-April), however witnessed a negative growth of 1.02 percent compared with the same period of last year and remained at $36.665 billion against $37.042 billion same period last year. Trade account balance recorded a marginal improvement during Jul-April FY13. Trade account deficit contracted by 2.5 percent in Jul-April FY13 as imports (fob) declined 0.9 percent during Jul-April, FY13 compared to same period last year whereas export (fob) remained almost the same compared to last year. Worker’s Remittances grew by 6.4 percent and reached to $11,569.7 million during July-April, 2012-13 as against $10,877.0 million in the comparable period of last year. Current Account Deficit showed substantial improvement over the last year and stood at $1,418 million in July-April 2012-13 against $3,354 million during same period last year. Services account deficit improved considerably and stood at $619 million during July-April 2012- 13 as compared to $2,384 million during the same period last year. Financial Account deficit during July-April 2012-13 stood at $494 million as compared to a surplus of $810 million in corresponding period last year. Foreign direct investment (FDI) increased by 29.7 percent during Jul-April FY13, in contrast to a decline of 36.7 percent during the same period last year. During Jul-April, FY13 inflows of FDI remained at $1,893.6 million against $1,723.3 million showing an increase of 9.9 percent. Foreign Exchange Reserves stood at $ 11.516 billion as on 15th May 2013. Of which, reserves held with the State Bank of Pakistan stood at $6.468 billion and by banks $5.048 billion. Exchange rate of Pak Rupee depreciated by 4.0 percent during July-April 2012-13. Pakistan’s public debt reached at Rs.13,626 billion by end-March, 2013 that is 59.5 percent of GDP as compared with 59.8 percent during the same period last year. The primary source of increase in public debt during July-March, 2012-13 was increase in domestic debt that stood at Rs.8,796 billion represented an increase of 15 percent over end-June 2012. External debt posed at Rs.4,831 billion by end-March, 2013 represented a decrease of Rs.200 billion as compared to end-June 2012 owing to repayments against IMF loans, translational gain on account of US Dollar appreciation against other major currencies and marginal fresh disbursements. The composition of public debt has witnessed major changes over past few years with increasing reliance on domestic debt due to non-availability of sufficient funds from external sources i.e. domestic borrowings increased in share from 50.5 percent of total public debt in 2008-09 to 64.5 percent at end-March, 2013. The composition of major components shaping the domestic debt portfolio has itself undergone a transformation from dominance of unfunded debt to an increasing dependence on short term floating debt i.e. the unfunded category comprising about 45 percent of the aggregate domestic debt stock in 2001-02 has declined to 23 percent by end-March, 2013. Contrary to this, the share of floating debt to total domestic debt has reached 54 percent by end-March, 2013 as compared with 31 percent in 2001-02. During July – March, 2012-13, servicing of the public debt reached at Rs.936 billion against the annual budgeted estimate of Rs.1,142 billion, thereby, consumed nearly 44 percent of total revenues. External Debt and Liabilities (EDL) stock was recorded at US$ 60.9 billion by end-March 2013, represented a decrease of US$ 5 billion during first nine months of current fiscal year. As a percentage of GDP in dollar terms, the EDL was slashed down by 362 basis points during July-March, 2012-13 compared to fiscal year 2011-12 (29.2 percent) and approximated to 25.5 percent. The servicing on EDL was recorded at US$ 5.3 billion during first nine months of current fiscal year. Out of total debt servicing, an amount of US$ 3.9 billion was repaid out of which around US$ 2 billion was against IMF loans. During July-March, 2012-13, appreciation of the US Dollar against other major currencies caused the foreign currency component of public debt to decrease by US$ 1.5 billion. According to Pakistan Social and Living Standard Measurement (PSLM) survey 2011-12,the literacy rate for the population (10 years and above) remains 58 percent during 2011-12. Literacy remains much higher in urban areas than in rural areas and much higher for men than for women. Province wise data suggest that Punjab and Sindh leads with 60 percent literacy followed by Khyber Pakhtunkhwa with 52 percent and Balochistan with 46 percent. National Education policy (2009) aims to address the issues of access, equity and quality of education at all levels. Under this policy, the government is committed to allocate 7 percent of GDP for education and provide free universal primary education by 2015. Under the 18th Constitutional Amendment, the education sector has been devolved to provinces. Now provinces are committed to implement National education Policy in letter and spirit. The GER at the primary level excluding Katchi (prep) for the age group 5-9 years at national level during 2011-12 decreased to 91 percent from 92 percent in 2010-11. The NER at the national level during 2011-12 slightly increased to 57 percent from 56 percent in 2010-11. Amongst the provinces, Punjab shows an increase of 64 percent in 2011-12 as compared to 61 percent in 2010-11. Sindh shows decrease from 53 percent in 2010-11 to 50 percent in 2011-2012. Khyber Pakhtunkhwa witnessed a slight improvement from 51 percent in 2010-11 to 53 percent in 2011-12 while Balochistan witnessed a prominent decline from 47 percent in 2010-11 to 39 percent in 2011-12 due to security prevailing situation. The overall number of enrolments during 2011-12 was 40.1 million as compared to 38.5 million during the same period last year. This shows an increase of 4.2 percent. It is estimated to increase to 41.3 million during 2012-13. The overall number of institutes stood at 231.2 thousands during 2011-12 as compared to 227.4 thousands during the same period last year. This shows an increase of 1.7 percent. However, the number of institutes is estimated to increase to 233.2 thousands during 2012-13. The overall number of teachers during 2011-12 was 1.44 million compared to 1.41 million during the same period last year showing an increase of 2.1 percent. This number of teachers is estimated to increase further to 1.50 million during the year 2012-13. During the fiscal year 2012-13 Rs 1429.64 million were allocated in the Federal PSDP for the expansion and development of basic and college education. Provincial Annual Development Programmes (ADPs) 2012-13, the government of Punjab has allocated Rs 15000/- million for 62 new and ongoing development projects of School Education in Punjab. The government of Sindh has allocated Rs 12000/- million for 157 new and on-going development projects in the Annual Development Plan 2012-13. The government of Khyber Pakhtunkhwa has allocated Rs 7116/- million for 57 new and on- going development projects of Elementary and Secondary Education in Khyber Pakhtunkhwa which is 9.6 percentage share of the Annual Development Programme. The government of Balochistan has allocated Rs.2150.394 million for 163 new and on-going development projects. During July-March 2012-13, a total of 6,755 youth received vocational & technical training under the President’ Fanni Maharat Programme and Prime Minister’s Hunermand Pakistan Programme and 9,837 are under training. HEC is also playing its role in running different scholarship programmes to enhance academic qualification at various levels on merit basis in line with requirements. During the period 2008-13, a total of 6081 scholarships were awarded under different programmes of HEC. In the development portfolio of HEC, there are 168 approved development projects and only 07 new projects were allowed to be included in current year PSDP 2012-13. The allocation has been revised during 2012-13 from Rs. 15.800 billion to 15.590 billion and so far Rs. 10.278 billion has released up till April 2013. There are 1,207 hospitals, 5,382 dispensaries, 5,404 basic health units and 696 maternity and child health centres in Pakistan as compared to 980 hospital, 5,039 dispensaries, 5,449 basic health units and 851 maternity and child health centres in the same period of last year. During 2012-13, 32 basic health units and 7 rural health centres have been constructed, while 10 rural health centres and 37 basic health units have been upgraded compared to construction of 30 basic health units and 7 rural health centres, while 15 rural health centres and 35 basic health units were upgraded in 2011-12. 4,400 doctors, 430 dentists, 3,300 nurses and 4,500 paramedics have completed their academic courses and 4,200 new beds have been added in the hospitals compared to 4,300 doctors, 450 dentists, 3,000 nurses, 4,500 paramedics and 4,000 beds were added last year. 8,000 Lady Health Workers (LHWs) have been trained and deployed mostly in the rural areas. Moreover, some 6 million children have been immunized and 20 million packets of ORS has been distributed compared to 9,500 LHWs, 7 million children have been immunized and 20 million packets of ORS in 2011-12. Special focus was given by Federal as well as Provincial Government to various health programmes such as cancer treatment, AIDS prevention, Malaria Control Programme, Dengue Control Programme etc. The total outlay of health sector is budgeted Rs.79.4 billion which included Rs.17.3 billion for development and Rs.62.1 billion for current expenditure which is equivalent to 0.35 percent of GDP during 2012-13 as compared to 0.27 percent in 2011-12. Total population is estimated 184.35 million during the year 2012-13 however, in 2011-12 the population was180.71 million. Population Growth Rate has shown improvement and it decreased from 2.03 percent (2011-12) to 2.0 percent in 2012-13. Total Fertility Rate (TFR) is 3.3 children per women in 2012-13 as compared to 3.4 in 2011-12. Contraceptive Prevalence Rate has increased from 27 percent (2011-12) to 30 percent in 2012-13. Crude Birth Rate has improved from 27.20 per thousand (2011-12) to 26.80 per thousand and Crude Death Rate has decreased from 7.2 per thousand (2011-12) to 7.0 per thousand in 2012-13. Infant Mortality Rate decreased to 67.50 per thousand in 2012-13 from 69.0 per thousand in 2011- 12. The total labour force has increased to 57.24 million in 2010-11 as compared to last year 56.33 million. The total number of people employed during 2010-11 was 53.84 million, 0.63 million more than the preceding year. Total unemployment rate has increased to 6.0 percent in 2010-11. The number of unemployed people increased from 1.94 million to 2.1 million in Punjab, in Sindh from 0.57 million to 0.70 million in 2010-11. In KPK the situation is different the unemployed people decreased from 0.55 million to 0.53 million and in Balochistan unemployed people increased from 0.06 million to 0.07 million in 2010-11. Agriculture sector is the largest provider of employment to 45 percent of total labour force. The employment share by manufacturing sector has increased from 13.2 percent in 2009-10 to 13.7 percent in 2010-11. The share of wholesale and retail trade has decreased from16.3 percent to 16.2 percent while, the share of community/social and personal service sector decreased from 11.2 percent to10.8 percent in 2010-11. The government is making sincere efforts to boost overseas employment. The number of emigrant was 0.45 million in 2011 which has increased to 0.63 million in 2012 which include 0.26 million unskilled, 0.26 million skilled, 0.1 million semi skilled workers. Pakistan’s current road network is about 263,415 kms which caters services to twenty one million vehicles of all type. NHA road network is around 12,131 kms, 33 highways and strategic roads. At present, 79 development projects having length of 12,131 kms are ongoing at a cost Rs.557 billion. These projects include construction of roads, river bridges, tunnels, flyovers, interchanges. Government of the Punjab has started a Metro Bus service in February 2013 in Lahore from Gajjumata to Shahdara. 45 articulated buses are providing services to passengers on 27 stations running on the 27 kms route. About 1500 persons got direct jobs and 1,20,000 passengers are using Metro Buses every day. Karachi Circular Railway comprising of 50 kms track has been planned to revive by providing a modern Commuter System. ECNEC approved the project in August 2012 at a revised cost of Rs.247.0 billion. A compensation plan for the effected persons by the project has also been prepared. As a special initiative Feasibility Study on Mass Transit System for Peshawar under Technical Assistance (TA) of Asian Development Bank (ADB) worth of US $ 372,000/- has been approved. TORs has been prepared, hiring of international consultant/experts is under process and expectedly, the team will start its work in July 2013 and the study report is expected by December 2013. In Balochistan during financial year 2012-13 (July-March) out of 321 development schemes, 173 schemes have been completed and 2100 kms roads have been made final with black top. The network of Pakistan Railway comprises route of 7791 kms, 515 locomotives, 1901 passenger coaches and 17543 freight wagons. Pakistan Railway is enduring the worst crisis since its formation, in 2012 only 8 locomotives were available for freight and 92 for passenger services. Revenue earning upto June 2012 have fallen by 25% while working expenses have increased by 33%. Pakistan Railway has started three trains from Lahore to Karachi on public private partnership basis and 18 more routes have been identified for out sourcing. Since year 2002 the performance of PIA is depleting, PIA even not able to generate its own operating expenses. PIA is loosing its market share on international routes. However on domestic routes PIA has captured the major share due to having no drastic competition on home routes. During 2012 PIA earned revenue Rs.112.1 billion against Rs.117.4 billion thus registed a decline of 4.5%. Seats available also declined by 8.6%. PIA has a fleet of 39 Aircrafts, 26 aircrafts are on average operational, 22 aircrafts have outlived their useful life. Non renewal/expansion of the Airplane fleet, depreciating the Pak rupee, higher administrative and HR costs, sharp increase in fuel prices have all had a negative impact on financial position. To drag out PIA from its financial crisis, an initial plan for PIA has been developed, which envisages the introduction of fuel efficient aircrafts, route rationalization, focus on separation of core and noncore activities and HR rationalization with the objective of making PIA a sustainable and profitable entity in the long run. PIA has developed a five years strategic business plan which will transform the Airline into a strong, dynamic and vibrant institution, aggressively tackling new opportunities and absorbing external shocks. PIA made successful Hajj operation this year and carried 98,000 Hajis achieving 96% flight regularity and punctuality, winning award from Saudi Civil Aviation Authorities. PIA in collaboration with Tameer Micro Finance Bank and Telenor Easy Paisa has launched a campaign named “Fori Ticket” by providing services at the customers’ door step without charging any infrastructure cost. In 2012 PIA started twice weekly flights to Khadhar, Afghanistan. More over PIA has resumed flights to Saidu Sharif Swat. Taking immediate step, GoP approved a bailout package for PIA on February 26, 2013. The bailout package includes support for cash flow deficit amounting to Rs.49 billion. In addition, GoP is also facilitating PIA in extension of guarantees which are being expired and issuing fresh guarantees against loans taken by PIA. GoP is also supporting PIA for induction of five A320 narrow body aircrafts with guarantee amounting to $46 million for security deposit, spare parts / materials and training. At present, PNSC fleet comprises of nine vessels of various type / size (Six Bulk carriers & Three Aframax tankers) with a total deadweight capacity (cargo carrying capacity) of 642,207 tonnes. Despite a depressed shipping scenario worldwide, PNSC has improved its profitability and earned a profit of Rs.2,558.2 million during July-March 2013 against Rs.1466.0 million in the same period last year. Similarly total cargo lifted during July-March 2012-13 was 8,730 thousand tonnes against 6009.7 thousand tonnes last year. PNSC presently is in process for acquisition of four tankers – two Aframax tankers for transportation of fuel oil and two product tankers for transportation of white oils. Karachi Port Trust operation comprised upon a 11.5 kms long approach channel, a depth of 12 meters and a turning basin of 600 meters, the Karachi Port provides safe navigation for vessels up to 75,000 metric tonnes deadweight (DWt). KPT handled 28.8 million tonnes of cargo during the first nine months of the current fiscal year against 27.8 million tonnes during the same period last year. Port Qasim handled 18.6 million tonnes of total cargo during the financial year 2012-13 (July- March) as compared to19.7 million tonnes during this period last year. PQA handled 538 thousands TEUs (Twenty Equal Units) of containers traffic in 2012-13, the growth in container traffic during the nine months of 2012-13 is 6% over July-March 2011-12. At Gwadar Port 341.0 tonnes Urea import handled during July-March 2012-13. The total cargo handled at the port up till now is 5.0 million tonnes. Total 145 Ships have been arrived at Gawadar Port since 2008. There has been a cumulative investment of approximately US$ 4.0 billion in the electronic media industry in Pakistan. New jobs more than 200,000 people of diversified skills and qualifications have been provided. PTV is operating 6 multiple channels in the country these are; PTV Home, PTV News, PTV Bolan, PTV National, PTV Global and PTV Sports. Beside this a TV Channel has been established in Azad Jammu and Kashmir with one TV Centre, and with four Rebroadcast Centers at Kotli, Bagh and Bhimber. PTV has launched English News Channel in January 2013. This is the only English News Channel in Pakistan telecasting the information about Pakistan domestically as well as internationally. Pakistan Television Corporation Limited has installed state of the art complete digital studio equipment in all the five TV Centers. Apart from it four Digital Satellite News Gathering (DSNG) which are complete mobile satellite transmission units are fully in operational. Total number of television sets in the country was 13.965 million as on 31-03-2013. Pakistan Broadcasting Corporation (PBC) operates with 64 AM/FM Radio Stations/Channels, spreading all over the country with its daily broadcasts of about 940 hours programmes and 124 news bulletins of 746 minutes in 29 languages. 124, News bulletins are placed on air daily. These include National, Regional, External and Local News bulletins. Planet FM-94 (English Channel) launched in Islamabad, Karachi and Lahore, covers the aspiration of the young generation. This channel entertains the diplomatic society and foreign missions in Pakistan. PBC has started work to transfer precious audio material of historical value from magnetic tapes to computer in MP-3 from via Digitization Project. 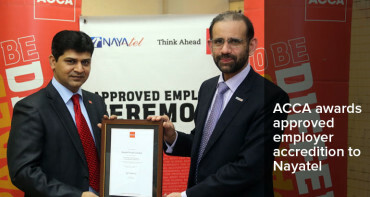 Pakistan Post is in the process of computerizing and re-engineering of its services to ensure that best possible quality services are available to the customers. During the first nine months of current fiscal year, Pakistan Post has received the foreign remittances amounting to US $ 78.7 million equivalent to Rs. 7,551.2 million. Over 1.5 million Military Pensioners are receiving their pensions through computerized Pension Payment System. The Pakistan Telecommunications Employees Trust (PTET) in joint efforts with Pakistan Post has developed computerized Pension disbursement System. Pakistan Post is also disbursing pension to over 40,000 PTCL pensioners. During the period July 2012 to December 2012 an amount of Rs.85,490.0 million has been collected through National Savings Schemes and earned commission amounting to Rs.538.725 million during this period. Teledensity of the country has increased by 71.95 percent at the end of March 2013. The cellular mobile network is covering 92% of the land of Pakistan. Cellular industry has shown a healthy growth of 8.4% in cell sites during 2012. Mobile penetration rose 68.6 percent at the end of July-March 2013 against 68.2 percent in March 2012. Due to mobile substitution, Fixed Local Loop teledensity has been declining over the years and it stands now at 1.93 percent compared to 2.1 percent last year. Total mobile subscribers reached 122.13 million by the end of March 2013 as compared 118.32 million in the same period last year, which is 3.2 percent increase. During July-March 2013 subscribers of Local Loop (FLL + WLL) have increased to 6.16 million out of which 3.03 million belong to FLL and 3.13 million belong to WLL. Broadband subscribers reached 2.54 million at the end of March 2013. Revenues of the telecom sector during 2012 stood at Rs.323 billion registering a growth of 2.9 percent over the same period last year. Energy outages hampered economic growth of Pakistan. Further since early 2000s, the energy sector (especially its sub sector electricity) received greater attention because of the faster rate of growth in its demand. Circular debt, weak financial position of energy companies, falling gas production, high dependence on oil/gas (over 80%), low exploitation of indigenous coal and hydel resources and unutilized power generation capacity are some of the significant constraints leading to severe energy shortages. During calendar year 2012, net primary energy supply remained 64, 727 thousand TOEs posting a moderate growth of 0.32 percent compared to last year. The final energy use during current year remained 40, 026 thousand TOEs showing a growth of 3.0 percent compared to last year. The total oil resource potential is 27 million barrels with production of 66,032 barrels per day. 24, 573 thousand barrels (67,140 barrels per day) of crude oil is extracted or produced locally while almost double of it that is 47, 104 thousand barrels was imported during 2012. 8,395 thousand tonnes of petroleum was produced domestically while 11, 507 thousand tonnes was imported. In 2012 the import bills increased to US $ 10,292 million while High Sulphur Furnace Oil (HSFO), High Speed Diesel (HSD) and Motor Spirit has the highest share of 48, 32 and 16 percent, respectively. The main users in the consumption of petroleum products are transport and power which jointly have almost ninety percent share in total consumption. Almost 65 percent electricity is generated by thermal in which contribution from furnace oil and diesel is 52 percent. During 2012 total production remained 1,559 billion cubic feet that is equivalent to 32 million TOEs which shows a growth of 6 percent when compared to last year in billion cubic feet while in TOEs it shows a growth of 4.5 percent. During July-March FY 13, gas supplies remained 1,139,253 million cubic feet as compared to 1,164,915 million cubic feet last year indicating a negative 2.2 per cent. During July-March 2012-13, power sector (27.5 %) has the highest share in consumption of gas, while industry sector has a share of 22.6 % while negative growth of 16 percent has been witnessed in transport sector. However transport sectors had posted a positive growth of 5.3 percent in gas consumption last year. During July 2012 to February, 2013, the two Gas utility companies (SNGL & SSGCL) have laid 14 Kms Gas Transmission Network, 4326 kms Distribution and 831 Kms Services lines and connected 261 villages/towns to gas network. During this period, the gas utility companies have invested Rs. 1513 million on Transmission Projects, Rs. 11,925 million on Distribution Projects and Rs.1,898 million on other projects bringing total investment to about Rs. 15,336 million. During this period, 237588 additional gas connections including 236997 Domestic, 221 Commercial and 370 Industrial were provided across the country. Pakistan has huge coal resources estimated at over 186 billion tonnes. The major users of coal are the cement sector and brick kilns; about 58 percent of total coal was consumed by cement while 41 percent was consumed by the brick kiln industry during 2012. During current year some positive growth has been witnessed in consumption of coal in power sector. During July-March 2012-13, 399 million KWh from Karachi Nuclear Power Plant (KANUPP) while 1,474 million KWh from Chashma Nuclear Power Plant Unit-1 (C-1) and 1,161 million from Chashma Nuclear Power Plant Unit-2 (C-2) dispatched to main Grid. Despite 3,377 MW was added since 2008-09, the generation capacity could not be operated at full due to constraints in fuel availability and timely payments. The installed capacity in the PEPCO system is 20,986 MW as of June 2011; with hydro 6627 MW and thermal 14,359 MW. The consumption of electricity during 2012 remained 76,761GWhas compared to 77,099GWh in 2011, while during the period July-March 2012-13 its consumption increased to 57,754GWh from 56,930GWh in corresponding period 2011-12 posting a positive growth of 1.4 percent. During 2011-12, the share of household, commercial and other government sector remained 46.5, 7.5 and 6.2 percent, respectively, in the total consumption of electricity. Long run analysis (last ten years)show that there is decreasing trend in share of industrial and agriculture sector in total consumption of electricity. This year share of industrial and agriculture sector in total consumption of electricity remained 27.5 and 11.6 percent respectively. The length of transmission lines was 7947 kms for 220 kV and 28347 kms for 132 level at the end of June 2012, showing a combined increase of 566 kms. The transformation capacity of 220 kV substations gone up to 18044 MVA by the end of June 2012 showing an increase of 1550 MVA over June 2011. The number of consumers has been increased due to rapid expansion of electric network to villages and other un-electrified areas. As of March 2013, the numbers of consumers have increased to 21.704 million as compared to 20.85 million on March 2012 posting a growth of 4.1 percent. During July-March 2012-13, the progressive number of electrified villages remained 8,995. The government in its bid to diversify its energy mix, has been giving due attention towards fast track development of Alternative / Renewable Energy (ARE) resources in the country. One project of capacity 50 MW in Jhampir developed by M/s Fauji Fertilizer Company is completed and providing electricity to National Grid (HESCO) since December 2010 and another project of capacity 56.4 MW developed by M/s Zorlu Enerji Ltd (Turkish company) has also been completed, however it will achieve commercial operation soon. 3000 Solar Home Systems have been installed in 49 villages of district Tharparkar, Sindh. Almost 15000 units of Solar Water Heaters are imported in the country. These heaters are deployed all over the country especially in Balochistan, Gilgit-Baltistan, Khyber Pakhtunkhawa and Northern Punjab. About 1429 units of Solar Water Pumping System were imported. These water pumping systems are installed for community drinking and agriculture purpose all over Pakistan. 14000 biogas plants are being installed through RSPN at a cost of Rs. 356 Million (Dutch Grant) in the country. The government’s commitment to follow a sustained poverty reduction strategy and allocated a minimum of 4.5 percent of GDP to social and poverty related expenditures. The government prioritized 17 pro-poor sectors through the Medium Term Expenditure Framework (MTEF) in the PRSP-II. Expenditure on pro-poor sectors in 2008-09 stood at 7.4 percent of GDP. In 2009-10, these were 7.5 percent of GDP and in 2010-11, 8.3 percent of GDP. These expenditures were well above the requirement under the law. During 2011-12, total expenditures for these sectors were increased further and amounted to Rs 1,980.819 billion, which was 9.9 percent of GDP. During July-December of the current fiscal year 2012-13, Rs.775.620 billion expenditures have been made on pro-poor sectors. Pakistan Poverty Alleviation Fund (PPAF) is the lead apex institution or community-driven development in the country with the aim to provide assistance in microcredit, water and infrastructure, drought mitigation, education, health and emergency response interventions. During the period of July-December of 2012-13, Pakistan Poverty Alleviation Fund has managed to disburse an amount of Rs 7.5 billion to its various projects. Benazir Income support program launched by the government with the primary objective of providing immediate relief to poor. BISP has made progress by provided relief to over 4.7 million beneficiaries including flood affectees and bomb blast victims across the country. As of March 1, 2013, BISP since its inception has spent almost Rs. 165 billion on various activities including cash transfers, graduation program and emergency relief along with conducting a nationwide poverty scorecard survey. BISP has an allocation of Rs.70.00 billion for the fiscal year 2012-13. BISP has launched a number of programmes including (i) Payment to Recipients, (ii) Waseela-e- Haq, (iii) Waseela-e-Rozgar, (iv) Waseela-e-Sehat and (v) Waseela-e-Taleem to mitigate the impact of stabilization program as well as inflation. Zakat funds are utilized for assistance to the needy, indigent, poor, orphans, widows, handicapped and disabled for their subsistence or rehabilitation. As a consequence of the 18th constitutional amendment, the subject of Zakat has been devolved to the Provinces/Federal Areas. Up to March, 2013 a total amount of Rs.3,951.667 million was distributed in bulk amongst the provinces and other administrative areas for onward distribution to the needy and deserving people. Pakistan Bait-ul-Mal (PBM) is making a significant contribution towards poverty reduction through its various poorest-of-the poor focused services by providing assistance to destitute, widow, orphan, invalid, infirm and other needy persons irrespective of their gender, caste, creed and religion. During July to March, 2012-13 Rs.1504.713 million expenditures have been incurred on its ongoing core projects/schemes. Peoples Works programme (PWP) I & II are the welfare programmes comprising of small development schemes for provision of electricity, gas, farm to market roads, telephone, education, health, water supply, and sanitation facilities to the rural poor. PWP-I & II incurred expenditures of Rs. 4.3 billion and Rs.33.6 billion during 2011-12 where as Rs.2.2 billion expenditures has been incurred between July-December 2012-13 on PWP-I and Rs.30.6 billion expenditures on PWP-II. Employees Old-Age Benefits Institution provides monetary benefits to the old age workers through Old Age Pension, Invalidity Pension, Survivors Pension and Old Age Grants. During the period of July to December, 2012-13, Rs.6,603.492 million has been utilized for 373,433 beneficiaries. WWF also executed 36 housing projects with a total projected cost of Rs 21,436 million during 2012-13. According to PSLM Survey 2011-12, the sanitation situation and water supply at household level has registered an improvement in terms of 72 percent of population using flush toilets compared to 66 percent in 2010-11. The access to drinking water to urban and rural population of Pakistan is 92 percent and 88 percent respectively, with an average of 89 percent in 2011-12 as compared to 94 percent and 84 percent in urban and rural population with an average of 87 percent in 2010-11. Like other developing countries, Pakistan is also facing environment problems mainly due to demographic growth, lack of public awareness and education, catastrophic mismanagement of water and other natural resources and ill planned urban and industrial expansion. Air pollution, inadequate water supply, sanitation, agricultural soil degradation, deforestation and rangeland degradation are other core environmental challenges. Pakistan Environmental Protection Agency (Pak-EPA), notified a regulation prohibiting manufacturing, import, sale and use of non degradable plastic bags and other plastic products in the limits of Islamabad Capital Territory, effective from April, 2013. This landmark step will have long term benefits to control spread of waste plastic bags. Many countries have successfully controlled plastic waste by introducing oxo-biodegradable plastic technology. The Government of Pakistan has also made institutional arrangements to handle climate change issues, which among others include the Prime Minister’s Committee on Climate Change (PMCCC) and Core Advisory group on climate change. The PMCCC meets about once a year to monitor the climate change related developments taking place globally and within Pakistan and provide overall policy guidance. Global Change Impact Studies Centre (GCISC) serves as the secretariate to PMCCC. The Core Advisory Group, however has been meeting very frequently and playing an active and influential role on climate change matters.